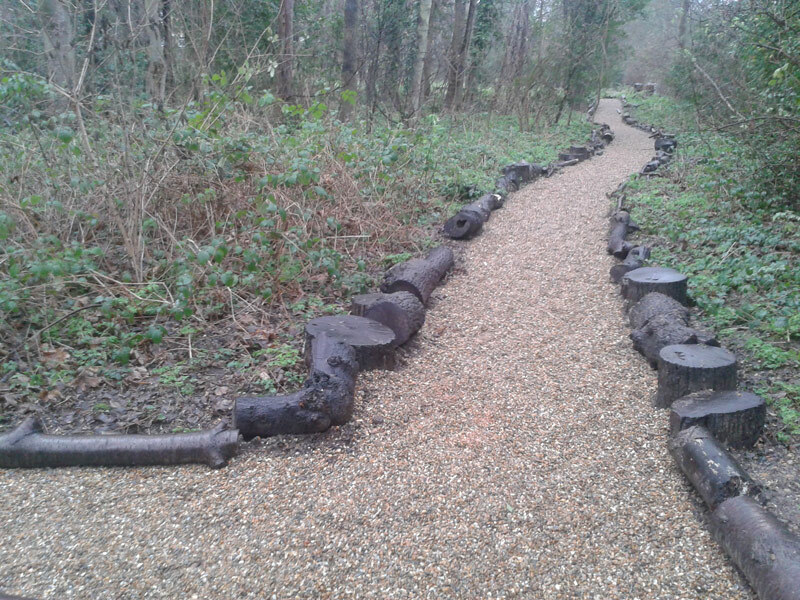 Our application for Cleaner, greener, Safer funding from Southwark Council was successful and we were awarded the money to get the paths in the wood topped up with new gravel. The previous surface was disappearing under the yearly layer of leaf mulch and so had gradually disappeared, leaving a muddy track. Following a meeting with Craig Dove and Pippa Krishnan from the council on 12th October 2016, it was agreed that the old path would be dug out a little bit, possibly a layer of sand added next and then a deep layer of gravel on top. 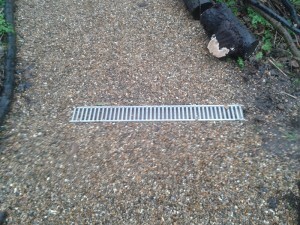 We discussed the possibility of some drainage channels too. The work was carried out in the w/c 9th January 2017. 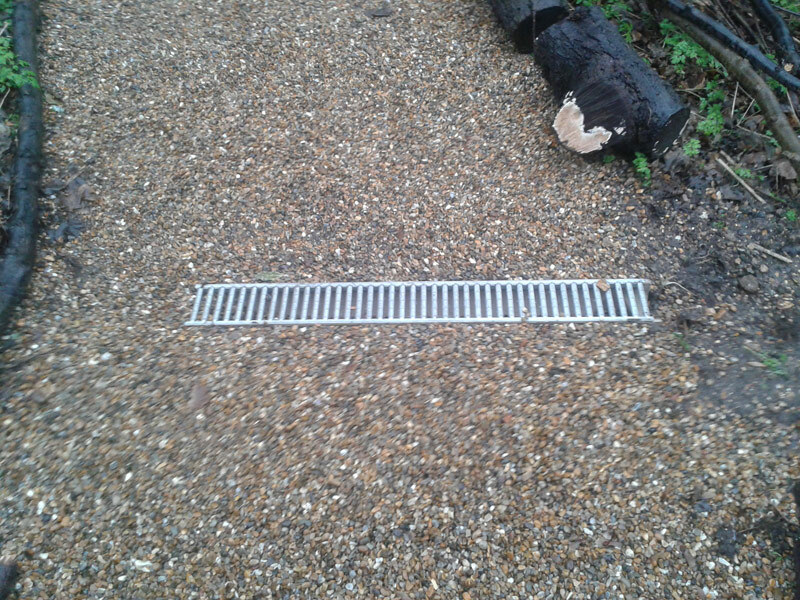 The contractor described it as follows: “Regulate, shape and compact existing hogging formation including importing additional materials as required.” We asked that the log edging be retained as this is important for fungus as well as indicating to park users not to stray from the path. The work has now been done and looks good. There’s a lovely thick crunchy layer of gravel that sounds like snow when you walk on it plus the addition of a new drainage channel at the bottom of the steepest bit of path. This drainage channels is the envy of local Friends groups :~) Whether or not the path gets waterlogged still remains to be seen. Many thanks to Southwark Council for their assistance in this much needed project.